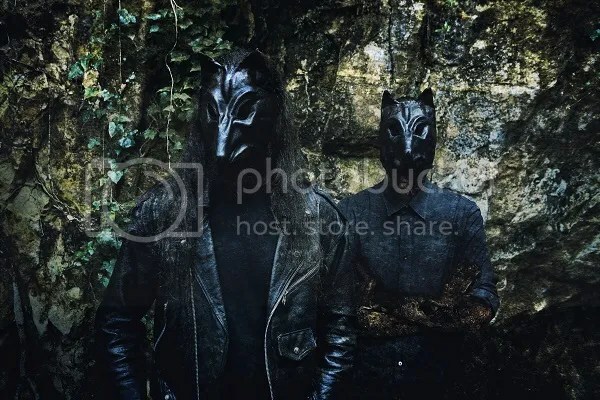 In a statement issued today Black Folk Metallers SELVANS, whose debut EP was released earlier this month on Avantgarde Music, announced that the band’s lineup would be reduced to a core of two members following an amicable split with bassist Stolas: “Stolas is no longer part of SELVANS. The unavoidable split happened in a friendly manner, as indeed it should as we have shared many experiences together, both with DRAUGR and SELVANS over the years. We wish him all the best – he is a brother to us and always will be! SELVANS draws on Italian folklore which, over the centuries, has been enriched by the different ethnic cultures that populated the country, and which the band recreates through its music, lyrics and stunning visuals. In fact, the release date of the five-track EP “Clangores Plenilunio” was timed to coincide with the start of the ancient Lupercalia Festival on the 13th February. The EP is also a tribute to the band’s co-founder and drummer, the late Jonny Morelli, who died shortly after finishing laying down the drums and part of the vocals.